What if you had a personal cameraman perfectly tracking your perfect 900-degree spin as your dreams of become Tony Hawk came true? 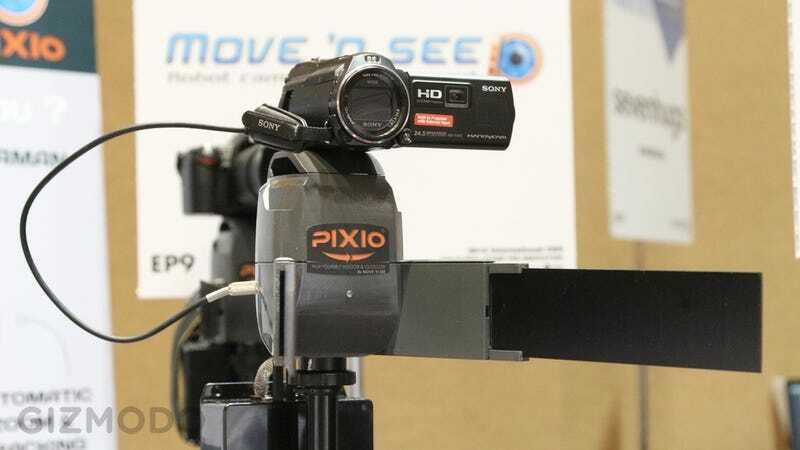 The Move 'N See Pixio wants to robotically assist you. While we just laid eyes on the contraption for the first time and have no idea whether it's actually up to the task, it sure looks pretty cool. It's a radar-guided motorized mount for your camcorder that locks onto a companion wristband. It can even zoom. The company says it'll actually go on sale in the next couple weeks, for $749 a pop. Camcorder not included. Though for that price, I'd probably rather pay a little extra for a drone to follow my moves. Way cooler.